About Her – Ebi Atawodi is from Kogi State in Nigeria. She has three younger siblings. Her dad is a veteran Nigerian Airforce Officer, while the mum is an experienced banker. Her mum is her role model. She has a B.Sc in electrical electronics engineering from the University of Nottingham, England and a Masters degree in Computing from the Imperial College London, majoring in Artificial Intelligence and Infographics. She has a certificate in Executive Leadership Programme from the University Of Cranfield, UK. Certificate in Summer Intensive Design from Parsons School of Design, New York. Ebi is also a graphic designer, webmaster and brand manager. About Her Work Ebi’s innovative foresight has birthed many corporate communication ideals. Her excellent problem solving skills has made her unique and helped in carving a niche for herself. Her job roles for over decade revolves around New media/digital, marketing, product activation, brand management. She was a co-founder of Connect2car, and worked there from 2003 -2006. She briefly worked as an interactive designer and developer at Bostock and Pollitt, July 2006 – September 2007, and held same role in Exposure, for 3months. Ebi also worked for two years as the Head of Strategy and Business in Apple Centre, Abuja , from May 2010 –May 2012. As the Creative Director of Inden, part of her job responsibilities included marketing consulting for First Bank Nigeria and Nokia, end to end implementation of large scale website platforms. She moved over to Etisalat Nigeia, and was the Head of Corporate Communications from May 2012 – September 2014. During her stay in Etisalat, she birthed the Etisalat African Prize for Literature in June 2013, which is now Africa’s most recognized literary prize award. 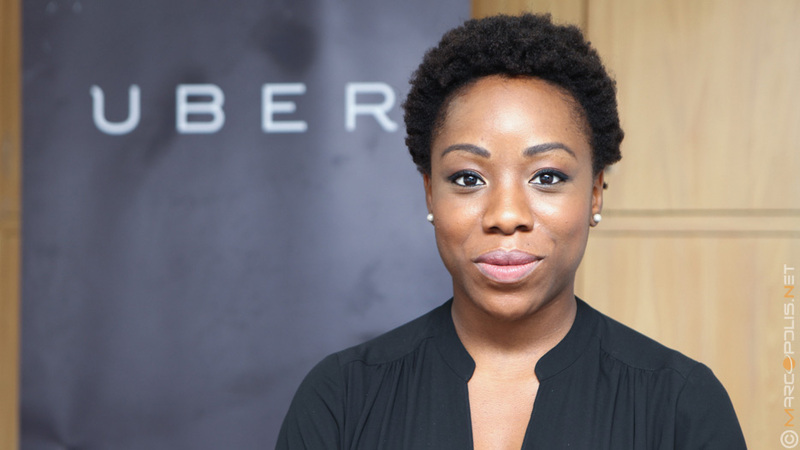 She’s currently the General Manager of Uber Nigeria, since December , 2014. In July 2013, Ebi introduced the Cloudnine concept for Etisalat Nigeria, the concept has features of acoustic music with commercialized contents. She was behind the creation of Etisalat Market Access, in June 2012. This Platform is aimed at helping small and medium scale businesses and gathers over 2000 participants from three states annually in Nigeria. Ms Atawodi also designed, the Etisalat Photography strategy for the contest and first photography festival in Nigeria (Lagos Photo festival) in October 2012, which later birthed a mobile application for the initiative. Temitope Omole was part of the Team members that made this success possible. In 2010, Ebi published her first book, Nigerians Behind the Lens, the book was featured on the British Broadcasting Corporation (BBC). The book, first of its kind in Nigeria, portrays pictures from all the over the beautiful country. In 2012, she published FIVE, a photography book for AFREN Plc. #TechHer loves Her because She’s an inspiration to every woman. Ebi Atawodi’s profile is quite an interesting read. Sheer creativity is what every woman in Tech needs to stay in business because technology is dynamic. You’re as good as your last job. The world is absolutely your Oyster, the only thing that can truly stop you is yourself.